You are buying VetriScience Vetri Cardio Bite Sized Chews For Dogs 60ct, model #0900602060 at ADW Diabetes, we offer a wide range of pet dietary supplements geared towards helping your pet achieve optimum health. We offer these supplements in both single and discounted bulk packs with the goal of helping you save even more. Shop with ADW Diabetes for all of your pet health supplement needs. 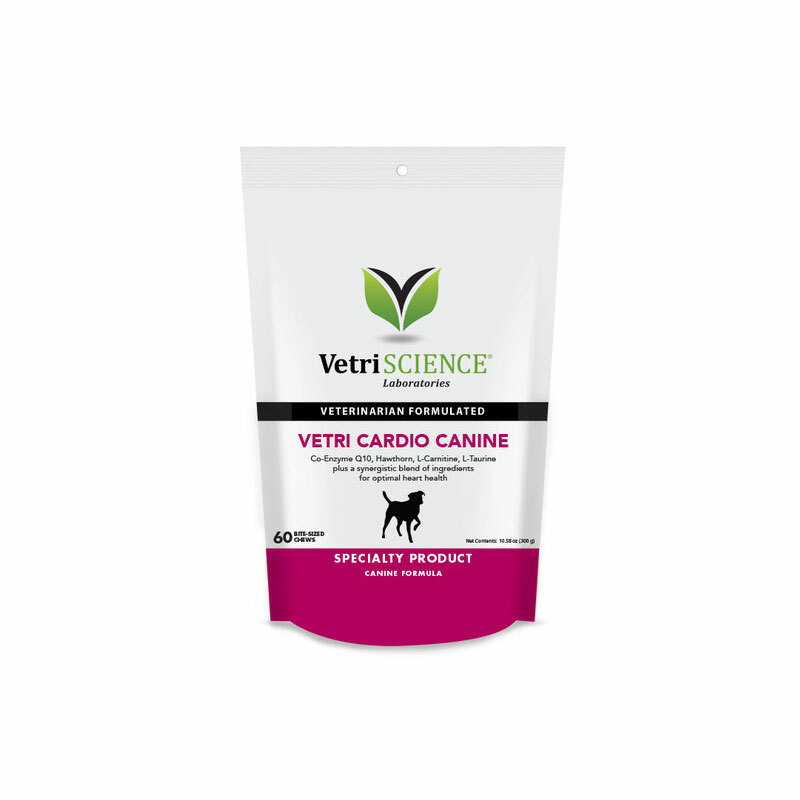 The VetriScience Vetri Cardio Bite Sized Chews For Dogs 60ct is designed to support the heart muscle, reduce oxidative stress and support cardiovascular function. It also supports circulation and utilization of oxygen. This product is recommended to support breeds of dogs that are predisposed to cardiovascular stress, dogs with pre-existing sub-optimal cardiovascular function, geriatric patients and metabolic pathways and the structural integrity of the cardiovascular system. Ingredients: arabic gum, apple pectin, brewers yeast, calcium sulfate, canola oil, chicken liver flavor, citric acid, glycerin, maltodextrin, mixed tocopherols, oat flour, oat meal, propionic acid, rosemary extract, rye flour, silicon dioxide, sodium alginate, sorbic acid, soy lecithin, vegetable oil, water.